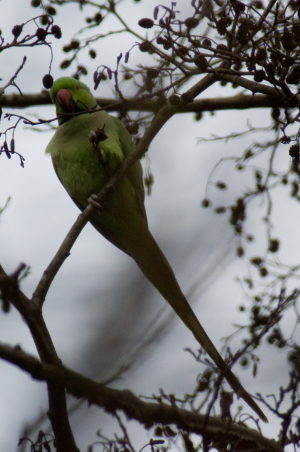 Observation - Ring-necked Parakeet - UK and Ireland. Description: Likely to turn up anywhere around the western section of the M25 - and plenty of other places! Likely to turn up anywhere around the western section of the M25 - and plenty of other places!